This is almost done, I think I have about 6 hours of stitching left on it and it's done. 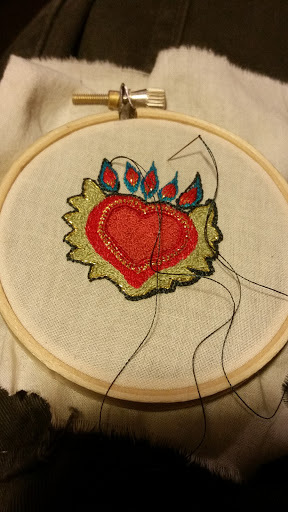 I'm doing a series of small embroidered applique's for a local art show called "Love, Lust and Desire" and this just seemed to resonate with me for the theme. I'll be posting updated pictures of the vest tomorrow.